This is a biased sample, of course, since the traders I ask are already using X_TRADER. But the answers are revealing. And there is a strong underlying theme to the replies.They use X_TRADER every day for one simple reason: Because it is very good at what it is supposed to do. Trading is an extremely competitive and demanding business. Your bottom line constantly reminds you that you need to perform every day, on every trade. And you expect your systems and tools to perform likewise and support you. And even prevent you from getting into trouble (but that’s another topic…). Click in a window, and X_TRADER does what it is supposed to do. Press the keyboard, and the system responds. Quotes update on the screen. Orders get entered. Modifications get made. Fills get received. Not sometimes, not most of the time, but every time. No excuses. Manual click traders waiting for just the right moment to pounce. Automated traders deploying and monitoring thousands of custom written algos simultaneously. Brokerage users — some of the most demanding customers of all — who have to fill an order yesterday, with many more in the queue, while monitoring a few hundred other concurrent working orders, all shared across a global execution desk. X_TRADER does all this day in and day out for all these types of users, and has been performing at this high level for almost 20 years. 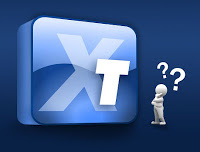 X_TRADER is the most visible part of the TT platform. Our customers — professional traders, brokers and administrators — interact with our flagship application every single day. Some have hundreds of X_TRADER windows open, displayed across eight or more monitors, all connected to a single workstation. If you are a current X_TRADER user, I thank you for trusting your trading to us. If you have never used X_TRADER, I encourage you to explore the TT website and learn more about what we have to offer. At TT we constantly look to improve our products and processes, all with the goal to help you improve your results. With this in mind, we’ve started this blog to help educate and provide insights into the many facets of TT. Look for more articles in this space as we delve into the rich functionality available on the TT platform. Thanks for reading.